English painter, printmaker and teacher John Hoyland attended the Sheffield School of Art and the Royal Academy, London. 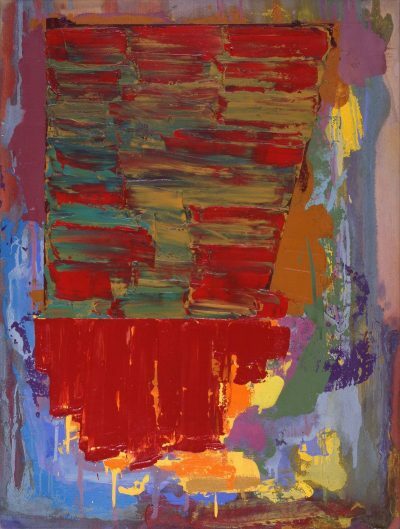 Hoyland had his first solo exhibition in 1964 at the Marlborough New London Gallery. He moved to New York in the late 1960s, where he met and was influenced by artists from the New York School. Hoyland won the John Moore’s Painting Prize in 1982. He was elected an Associate of the Royal Academy the following year and as a Royal Academician in 1991. He became Professor of Painting at the Royal Academy Schools in 1999.